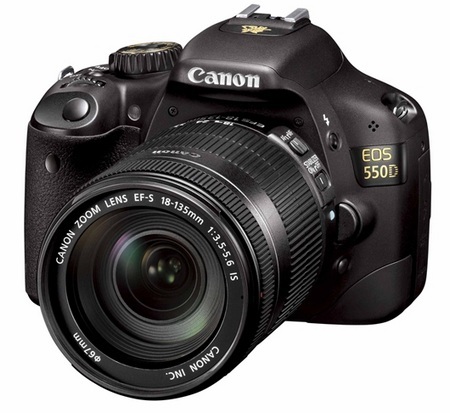 The new flagship of the EOS Rebel line, Canon EOS 550D (EOS Rebel T2i) brings professional EOS features into an easy to use, lightweight digital SLR that's a joy to use. Featuring a class-leading 18.0-megapixel CMOS image sensor and increased light sensitivity for low light photography, the EOS Rebel 550D (EOS Rebel T2i) also has an advanced HD Movie mode for gorgeous Full HD movies. Able to capture up to 3.7 frames per second, it's ready to go the minute it's picked up. Advanced Live View, a new wide-area screen, plus features like Canon's brilliant Auto Lighting Optimizer and Highlight Tone features ensure brilliant photos and movies, easily. With some of the most advanced features of any digital SLR, it's simply the best Rebel Canon has ever created.